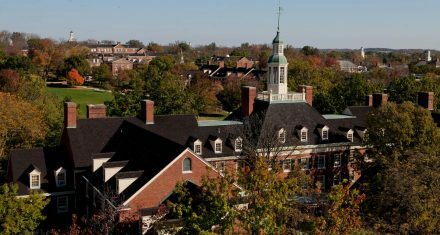 Here at Miami University, we are busy designing a studio space for our brand new MFA in Experience Design. Collaboratively offered by Graphic Design and Interactive Media Studies, this degree stands at the intersection of design and technology—a position that we particularly enjoy. 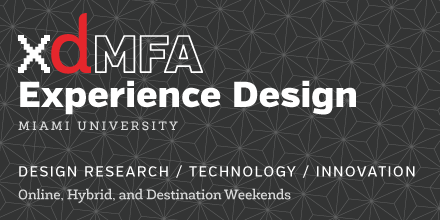 Visit the XD:MFA site to read more about the curriculum and apply. Applications will be accepted on a rolling basis until May 1. COLLABORATIVELY-CRAFTED By collaborating across disciplines, engaging visiting designers, and co-creating technologies and systems with stakeholders, you will develop relevant and often unexpected outcomes. In the XD: MFA, we don’t explore how to solve problems for others; we embrace solving problems with others.